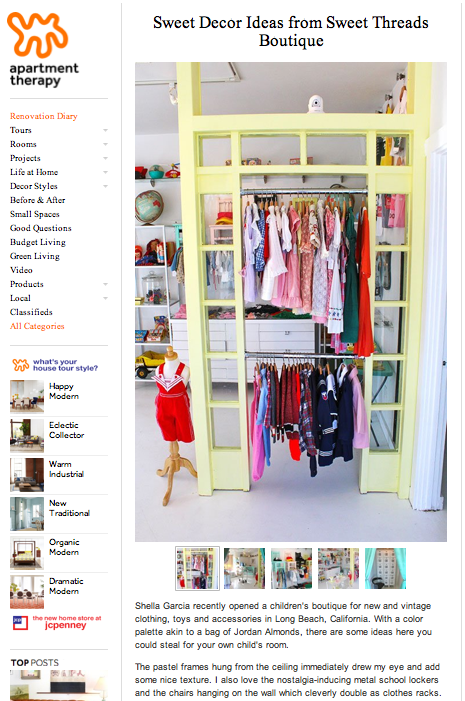 Sweet Threads is a New + Vintage Children’s Boutique located out of Long Beach, CA. We specialize in offering some of the coolest, one-of-a-kind pieces for both boys and girls, babies and tots carrying up to ages 7 years old. Can’t make it to our shop? Not to worry. You can visit us at http://www.shopsweetthreads.com for all the same unique children’s clothing and accessories! < SWEET THREADS IS OFFICIALLY OPEN!